Pro­fessor of History David Stewart studied the paper, nodded, then crossed out the student’s entire first para­graph. 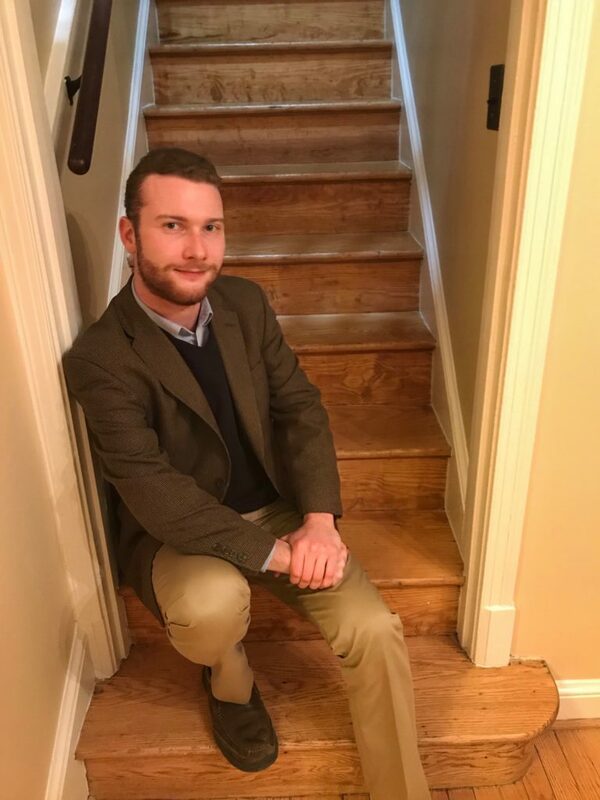 The student, Andrew Dykstal ’13, con­sidered himself a good writer, espe­cially after suc­cess­fully com­peting in essay speech writing, but he realized this was a delusion upon entering Hillsdale. Nev­er­theless, with his pro­fessors’ guidance, he learned to clear out empty lan­guage, force himself to get to the point, and develop an ana­lytical style that valued evi­dence and close analysis. Six years later, Dykstal is inter­na­tionally rec­og­nized for his writing talent: He was recently named one of twelve winners of L. Ron Hubbard’s 35th annual The Writers of the Future Contest. His short story will be released to the public after “L. Ron Hubbard Presents Writers of the Future Vol. 35, an annual anthology of the winning pieces, is pub­lished. In its 35th year, the inter­na­tional com­pe­tition rewards winners with a week-long pro­fes­sional workshop and awards cer­emony on April 5 in Los Angeles, Cal­i­fornia. Dis­tin­guished authors, such as Tim Powers of “Stranger Tides” and Orson Scott Card of “Ender’s Game,” will teach this year’s workshop and show the basic mechanics of writing a story. The winner’s stories will be pub­lished in an anthology, the “L. Ron Hubbard Presents Writers of the Future Volume 35,” which has appeared on best­seller lists for the past four years. Pres­ident and pub­lisher of Galaxy Press, the pub­lisher and dis­tributor of L. Ron Hubbard’s works, John Goodwin said most workshop par­tic­i­pants’ stories end up selling afterward. “This com­pe­tition has the highest success rate of intro­ducing nov­elists and artists into the pro­fes­sional side of science fiction and fantasy,” Goodwin said. Dykstal received a bachelor of arts in English and political science and credits Hillsdale’s English department for his appre­ci­ation of the subject. Since he planned on attending law school after grad­u­ation, Dykstal said majoring in political science seemed like good prepa­ration for that endeavor. But his focus shifted more toward English as he realized he knew more happier aca­d­emics than lawyers. After grad­u­ation, he earned a master’s in English at the Uni­versity of Vir­ginia, taught high school English for a year, and now works as a gov­ernment con­tractor in Wash­ington, D.C. While studying at Hillsdale, Dykstal was the team manager on the speech team and debated at national tour­na­ments. He received two national titles in debate and several speech awards. After he grad­uated, he helped coach for a while both the college’s speech and debate teams. Dykstal added that his liberal arts edu­cation at Hillsdale made him ponder the type of ques­tions that are good for devel­oping story con­flicts. A mem­o­rable course Dykstal took was a Utopian Fiction course taught by Nathan Schlueter, pro­fessor of phi­losophy and religion. In Dykstal’s words, utopian fiction — a close cousin of dystopian fiction — explores the con­se­quences of ideas, whereas science fiction delves into “what if” sce­narios, making the two genres very similar. Writing science fiction also allows him to “weird people out more,” which is some­thing he enjoys doing once in a while. In addition to Dykstal, many other stu­dents who took Utopian Fiction said it was one of the most infor­mative courses they’ve taken, Schlueter said. “I’ve seen this course bear fruit for stu­dents in all kinds of dif­ferent ways and I’m glad to see how this class bore fruit on Andrew’s devel­opment,” Schlueter said. Dykstal wrote a few stories already and one of them, “Clockwork,” is already pub­lished and can be read on DailyScienceFiction.com. This flash fiction story, a short fiction story, is about a woman who inex­plicably coughs up watch parts. The Writers of the Future Contest has helped many aspiring writers advance further in their writing careers, and about half of them con­tinue on pro­fes­sionally, Goodwin said. When it comes to writing stories, Dykstal said his ideas come from every­where. They start from building up a sit­u­ation around a mental image or with a char­acter expe­ri­encing per­sonal or pro­fes­sional failure. “That’s one of my favorites, and a fairly common trope: building a story around somebody whose life has fallen apart and whose present dire straits force com­mitment to some risky propo­sition,” Dykstal said. For those inter­ested in writing, reading is very important, Dykstal said. The more time spent reading, the more effi­cient writing itself will be. Dykstal plans on con­tinuing his writing career after the workshop and hope­fully he’ll have a new novel within the next couple of years.